So when I was lucky enough to get my hands on the latest Fitbit Versa I was keen to see how it would integrate into my daily life. Unlike all the other watches I have ever had, the Fitbit Versa is a smartwatch and in my opinion can compete with the best on the market. If you’re as passionate as me about exercise you would also like to track how hard you’ve worked out during every session. Tracking your calorie burn is also how I track how I should be eating for the day. This is the only way to keep an accurate account of how you should be eating on any given day. 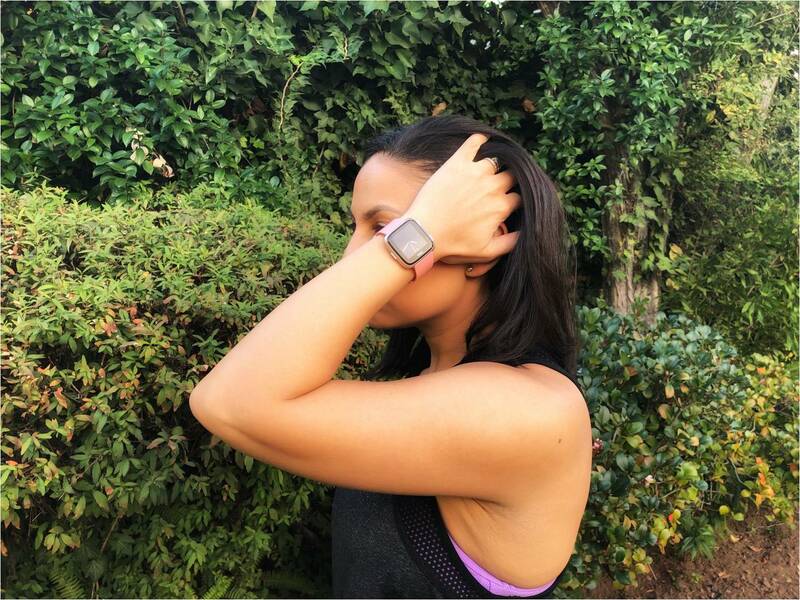 The look and feel – In the month of testing, many people when they saw the Fitbit Versa they immediately thought it was an Apple watch and one cannot blame anyone for thinking so. It has a very similar aesthetic to the Apple Smart watch. I do however think the FitBit Versa may have drawn inspiration from there, but it has bettered the design. In short – its a very good looking watch and one I could wear with virtually any outfit. It doesn’t look like a typical exercise watch. The graphics makes my old watch look like it was stuck in the stone age. The Fitbit Versa’s graphics is sleek, sharp looking and in full colour. The Interface – The watch is super easy to use and interact with. The watch doesn’t really come with an instruction manual and its easy to see why. Its very intuitive and easy to navigate. Long Battery Life – The battery life of my TomTom Spark has always been an issue for me. It would not last long than a day or two and then need to be charged basically after every 60 – 90 minute workout. With the FitBit Versa, I found I only needed to charge the watch once a week! This is probably one of my favourite features of the watch. The Alarm – I love how the alarm is super easy to set and simply vibrates on your arm and makes no noise. Very handy if like me, you are scared of waking your baby. Smartphone connectivity – The minute you download the Fitbit App, the watch automatically links to your phone and you can then receive and view all you smses on your watch and know when someone is calling you. While you can answer your phone via your watch, you cannot however speak to the person on the other side. I do however appreciate having my smses come through especially when shopping and getting my transaction notifications on my watch without having to actually take my phone out. Also, my phone is often on silent at work and at home with a baby around, so its nice that even though it is, I can still see when my phone is ringing via my watch. Sleep Tracking – The watch tracks your light, deep and REM (Rapid Eye Movement) sleep. I personally valued this insight as sleep plays such an important role in your overall wellbeing and specifically if you are trying to lose weight. 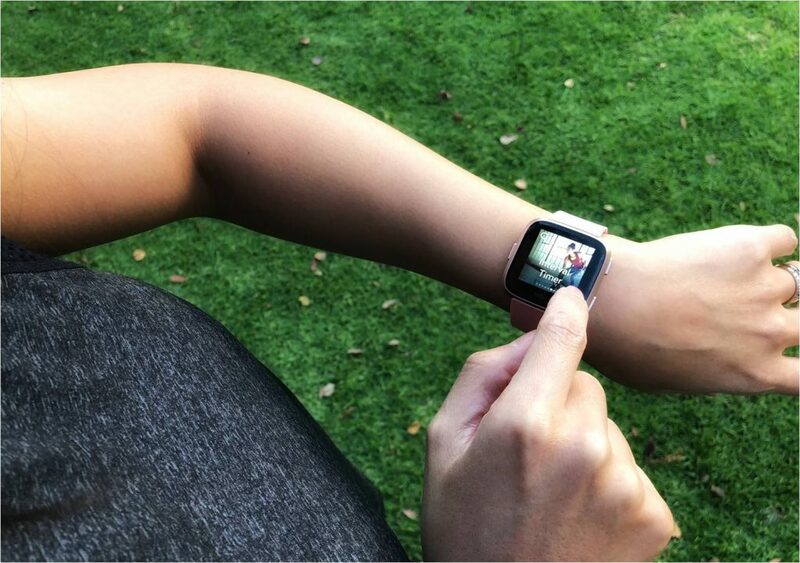 Multi-sport Mode – The watch can be set to the type of training you do and thereby track your workout accordingly. Calorie Burn tracking – I would be thoroughly impressed with the Fitbit Versa if it wasn’t for this one discrepancy – the calorie burn tracking is way off from my TomTom Spark. This watch, all be the look and feel old and dated – it tracks your calorie burn very accurately as it does not lose your heart rate. I noticed during my some of my sessions it would lose my heart rate momentarily and it would affect the calorie burn tally by more than 100 calories. I made sure to calibrate both watches and test again and again but I always got the same result – a huge difference in the calorie burn shown on both watches, with the FitBit Versa showing much less calories burnt. In conclusion – Despite what I don’t like about the watch, there is literally so much to love about the FitBit Versa. It integrates into your life as most good electronic devices should. 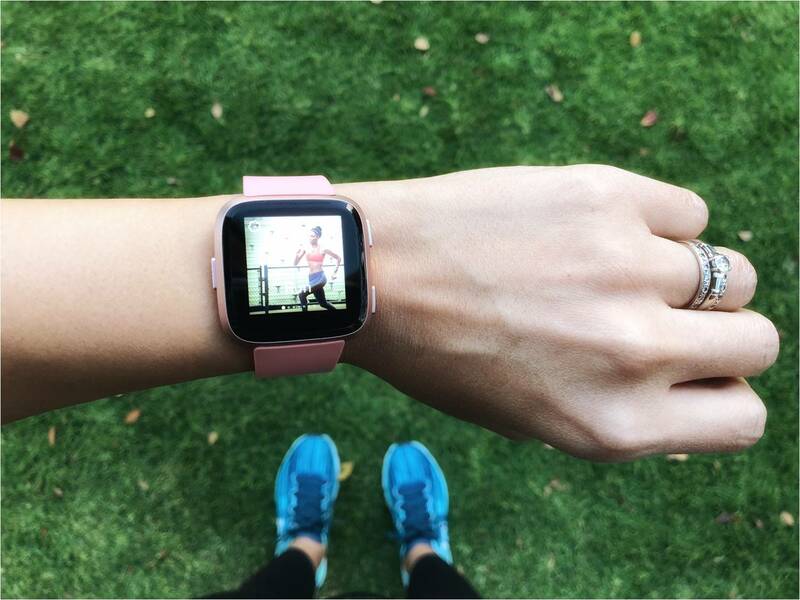 If calorie count is not the be all and end all of your workouts then this watch is the one for you. 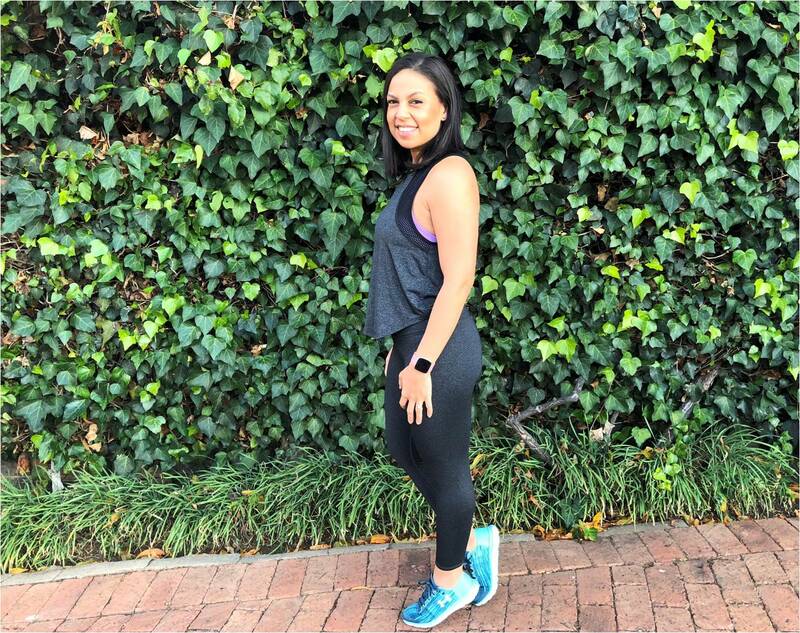 The thing is, this is so much more than just a step counter or a exercise tracker – the FitBit Versa offers far more to its owner. The best part of it is, it is priced competitively as well – retailing for R3199. Many of you were asking me if you should buy the watch – I would say, if the many features above and the particular positives I pointed out tick the boxes for you too, then I would say get one.